Lela Ida Bredemeyer Futrell left her earthly body on April 13, 2016 to be with her Heavenly Father at the age of 88. 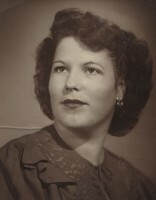 Lela was born on March 04, 1928 to August and Selma Bredemeyer. After graduating from Bradshaw High School she married D.K. Futrell, to whom she was married for 70 years. Lela lived a full life, loved bowling, bridge and riding horses in the Taylor County Sheriffs Posse. The ladies she bowled with, most of whom are now deceased, are probably all in heaven and happy to be reunited. 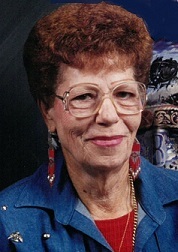 Lela resided in Abilene most of her life but did live in South America for several years. She was known for her sense of humor, fun loving attitude and was a very loving and caring person. Lela was preceded in death by her parents, brothers Hugo Bredemeyer, Bert Bredemeyer, August Bredemeyer Jr., Edwin Bredemeyer, Erwin Bredemeyer, Henry Bredemeyer and sister Selma Bailey Conway. Survivors include husband D.K. Futrell; son Greg Futrell (Normie) of Dallas, Texas; daughter Barbara Futrell of Seguin, Texas and many nieces and nephews. Visitation will be held Tuesday, April 19, 2016 from 5:00 PM to 7:00 PM at the Elliott-Hamil Funeral Home, 5701 Hwy 277 South. Funeral Services will be 2:00 PM, Wednesday, April 20, 2016 at Elliott-Hamil Funeral Home with burial following at Elmwood Memorial Park. Pallbearers will be Cecil Stolle, Mark Hagood, Bill England, John Branham, R.J. Millikin and PJ Collazo. In lieu of flowers, donations in Lela's memory can be made to St. Jude Children's Research Hospital (www.stjude.org) or Cancer Services Network, 100 Chestnut Street, Suite 100, Abilene, TX 79602. To leave an online condolence for the family, go to www.elliott-hamil.com.